Several years ago, author Lara Zielin took a trip to watch tornadoes. She was expecting storms, and she got them. Just not the ones she was expecting. Here she is to explain how that fateful, stormy trip relates to her latest book, The Waiting Sky. I’ve told people part of what inspired The Waiting Sky —but not all of it. I booked a tornado chase in 2004, I tell them, to see amazing weather and crazy storms. I paid an experienced guide to get me close to extreme weather, spending hours and hours on the road with strangers in the process. All of us were folded into a stale-smelling van, waiting until the moment the sky opened and the twister descended. Only that never happened. Our group never saw an actual bona fide tornado. Some bad weather, sure. Never a twister, though. But all that time on the road, all those miles between storms—that provided the inspiration for my main character, Jane, who leaves her alcoholic mom in Minnesota to chase tornadoes with her brother, a Ph.D. student studying meteorology at the University of Oklahoma. Jane winds up having to face her own internal storms, thanks to all the quiet moments storm chasing ironically provides. I mean, what else are you going to do besides look inside at your messed up life when you’re crossing from Kansas into Oklahoma? What I’ve neglected to say in every version of this story—until now—is what storm I had to face when I went to Tornado Alley. Because, you see, none of us storm chasers are really chasing literal storms. Not in my experience, anyway. All of us are running from something. All of us are looking for chaos in the clouds because better it’s there than in our own lives. If I’m honest, I’ll tell you that I was running from an unhappy marriage. I was married right out of college to a good guy, a decent, hard-working guy, who just wasn’t…THE guy. And this truth—this unavoidable storm of honesty—descended on me in Tornado Alley. I think, when I went on that chase by myself in 2004, I still thought things were fine, just fine. I’m a Midwesterner, after all, and we are prone to impractical optimism. And I probably could have eschewed the truth that I was unhappy—daily, hour after hour, week after week—if it wasn’t for Bradley. His name has been changed to protect…something. The last shred of dignity you have before you fall for someone in Tornado Alley, perhaps. Because I did fall. Hard. Bradley was British and attractive and rich and, would you even believe it, into me. ME. The overweight, Midwestern, married girl who was on this trip alone—no friends, no husband, no tethers to the things that keep us from thinking that romances forged among storms last. Bradley was the thing that made me realize that I went someplace hoping to see what would happen when the world was turned topsy-turvey—when twisters rip through barns and tear up hay fields—and found out instead that everything was already upside down. I was already in a tornado. I was already spinning. Bradley just made me see how far over the rainbow I’d already come. When the chase ended, I knew I had to click my ruby-red slippers together and get home. However, suddenly I didn’t really want to go back. Because if I did, then I knew I had to bring the storm with me. Which is scary for about six thousand reasons. Does any woman want to go back to her normal, mundane life after admitting feeling insane attraction for someone who isn’t her husband? But I did it. Except, I went back and created an EF-5-sized tornado of my own. I acknowledged how completely unhappy I was. I forced myself to admit that the magnetic attraction I felt for Bradley was less about him and more about me being desperate to find someone who would just—I don’t know, think I was cool or something. When was the last time my spouse and I had thought the other was a badass? Not in a long while, that’s for sure. Not that this is a quick, easy thing, mind you. It took a while. And all that time, storms brewed and faded across the plains. Other chase teams caught tornadoes. They took pictures and posted them to websites. Me, I was chasing the most dangerous storm of my life and I had no pictures to show for it. No viral videos. Just lonely nights sleeping beside someone I no longer really knew. So, look. This was my storm—and I found it because I went to go see funnel clouds and instead I encountered stillness. The quiet miles between storms forced me to really acknowledge what was going on in my life, as messed up as it was. Storms are funny things that way. My protagonist in The Waiting Sky goes through something similar. Though, if you ask me, you don’t need a tornado chase to acknowledge what’s really eating at you, what’s really tearing up your cornfields and ripping the siding off your house. Everyone has storms. It’s whether you face them that matters. What a powerfully honest essay! Wow, just…wow. I have read The Waiting Sky and found it awesome. After reading this brave essay, I find its author awesome! Thank-you so much for sharing! I know exactly what storm I need to face, I just need the guts to do it. Wow! What a power house of a post . I just started breathing again. I went through something similar years ago, taking a hiatus from a similar marriage to drive from California to Colorado to visit an old friend from ” our single days”. I didn’t see any tornadoes but it did set things stirring for a permanent break. It would take years but I did get there. 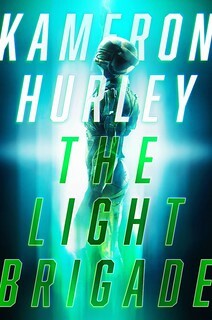 I got a chance to read an ARC, and will buy the published version too. 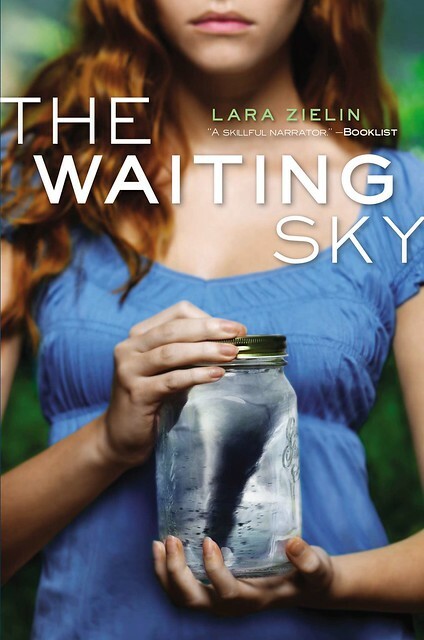 The Waiting Sky is Lara Z’s best book yet. This author is a badass. Thanks for the honest essay. Amazing writing. Honesty is always badass, Lara! I agree, M.A. 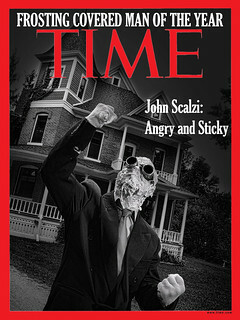 The cover is really wonderful! I went through a period of recurring dreams about being in tornados and violent storms. Started researching dream analysis sites. Most generally agreed it meant I was experiencing deep inner turmoil and feeling overwhelmed. Not sure how much stock I put in all that. With me it was all professional, not home life. Due to a lot of factors, I changed careers and haven’t had that dream since. Maybe chasing storms is the active, the conscious equivalent of dreaming about them. I’ll be looking for this book soon.